Adamorobe, a small Akan village in Ghana, has an unusually high incidence of hereditary deafness. 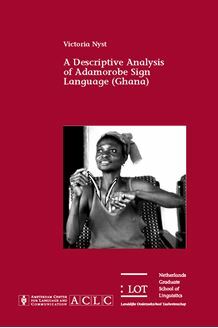 As a result, a sign language came into being, Adamorobe Sign Language (AdASL), which is unrelated to any other sign language described so far and is assumed to be about 200 years old. in the use of iconicity as well as in the use of space and classifier constructions.